1. Surrender fear. The mind has the power to think positively or negatively. The direction you choose can shape your healing. All thoughts aren’t created equal. Some, like fear, are more aggressive than others and take up more space in your psyche. If you indulge fear, a master seducer that preys on your doubts, there will be less room for hope, faith, and love. 2. Surround yourself with healing people. People can affect our health in a positive or negative way. 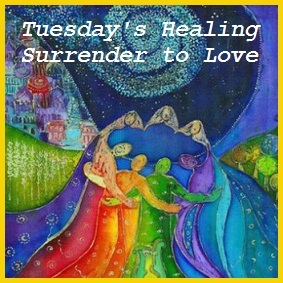 To heal, surrender to those who are loving. 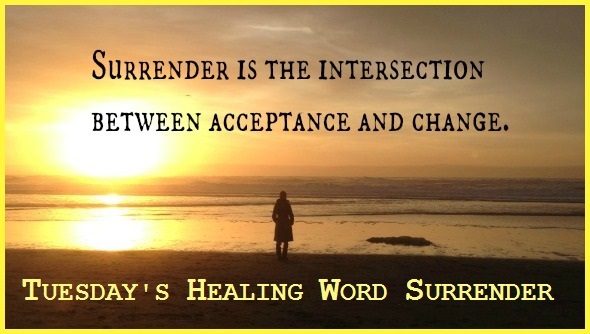 Surrendering to the love of friends and family has the power to make you feel good and soften pain. The more you absorb these vibes, the better you will be. 3. Prepare nurturing personal space. Your physical environment affects your healing. Unclutter your home or recovery room. A serene, light-filled, uncluttered room provides the open space to get well. A dark, stuffy, noisy, chaotic environment is disturbing. It can slow your recovery because you’ll be spending energy fighting off unpleasant distractions and stagnant clutter. 4. Surrender to peacefulness. Find a serene place in your home where you can rest and relax. Settle into the stillness as you surrender to the peace and beauty. No rushing. No pressure. Take your time in the space. Breathe in the sweet smells, admire the quality of light, the joyous flowers, the lusciousness of a bowl of fruit. Enjoy soothing music that inspires your healing. Create a sacred altar if this resonates with you and feels comforting. Meditate. Absorb the goodness, healing, and rejuvenation all around you.